The Holiday Inn at the Buffalo Bill Village Resort is the largest of the three hotels at Cody’s only downtown resort. This is a full service hotel with 189 deluxe sleeping rooms, a plush suite, meeting & banquet space, a restaurant and lounge. Enjoy a swim in the outdoor heated pool or have a drink at the Bottoms Up Lounge. QT’s restaurant offers wonderful and convenient dining for you and your family. 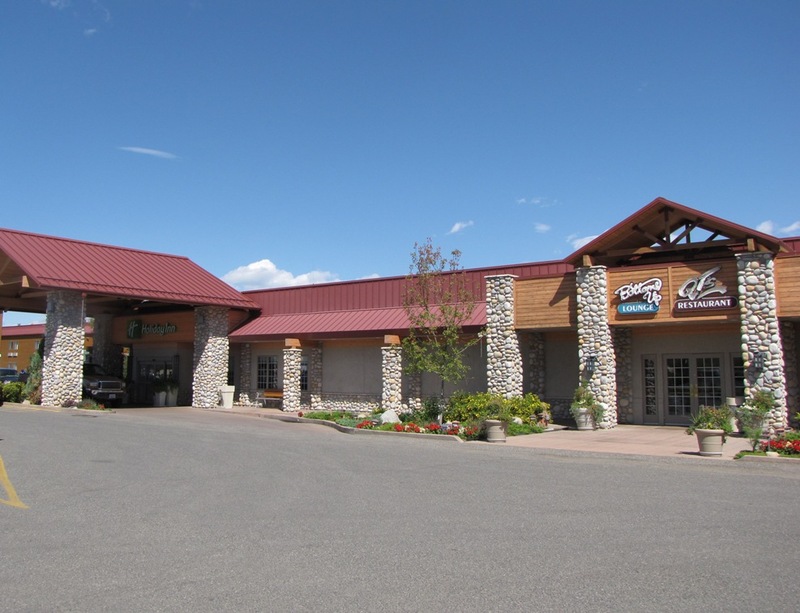 If you must bring the office with you or want to hold your meetings/conventions in Cody, the Holiday Inn at the Buffalo Bill Village Resort offers business-friendly accommodations. Open year-round. No Pets.